This is always a favorite! 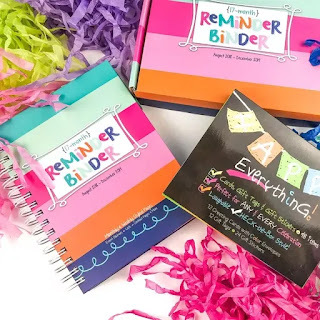 Head over to get one of these 2018-2019 Reminder Binder® Planner + Bonus Gift for ONLY $19.95 (Retail $54.90)! And more than that...we are sweetening this deal for our early birds! Be the early-planner-girl to get this deal which includes a BONUS gift of your choice!